Mural on the wall inside the Cathedral of St. Augustine, depicting America's first Thanksgiving and Catholic Mass. 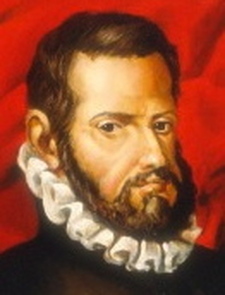 Pedro Menendez de Aviles and his men shared a Thanksgiving feast with Florida natives on September 8, 1565. November 27, 2007 - For Latino immigrants, no other American holiday is more precious than Thanksgiving. "El dia de accion de gracias," as we know it in Spanish, is a welcomed opportunity to reflect on the reasons we came here and to express our gratitude for the religious, political and economic freedoms we enjoy — just like the Pilgrims of Plymouth Colony. You may not know it — not from the way many Latinos often are seen protesting in defense of their civil rights — but you can be sure that on Thanksgiving Day, many more Latinos are giving thanks for being your fellow "Americanos." Nevertheless, in the interest of historical correctness and self-esteem, it would be disingenuous for Latinos to pretend there were no other Thanksgivings, especially because we know they were celebrated by our Spanish ancestors. Because history is written by the winners, American history ignores Spanish contributions to North America — for a whole century before the Mayflower arrived in 1620. And that includes at least two Spanish-language Thanksgiving ceremonies held on U.S. soil many years before the Pilgrims' famous feast in 1621. 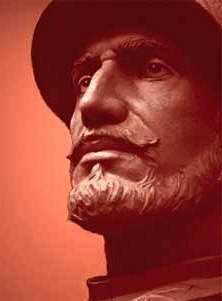 In fact, Spanish explorers held religious Thanksgivings every time they stepped ashore on what is now U.S. territory, starting with the Juan Ponce de Leon expedition from Puerto Rico to Florida in 1513.But contrary to popular wisdom, the first Thanksgiving with Indians is not the one we commemorate every November. 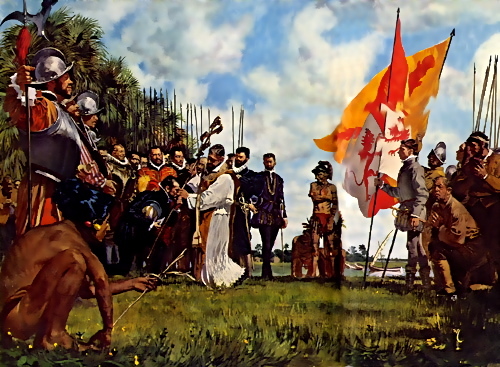 On Sept. 15, 1565, 56 years before the Plymouth Thanksgiving, Spanish explorers led by Pedro Menendez de Aviles celebrated the first U.S. mass and invited the Timucua natives to a Thanksgiving meal in what is now St. Augustine, Fla. Historians speculate they ate salted pork, garbanzo beans and biscuits. 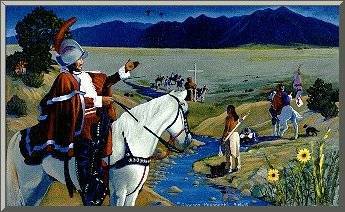 On April 20, 1598, 23 years before Plymouth, 600 colonists led by Juan de Onate celebrated the end of a long expedition across Mexico's Chihuahua Desert. Their Thanksgiving ceremony with Indians, near (what later became) El Paso, Texas, is still known as the Texas Thanksgiving and has been recognized in resolutions by the state legislature. 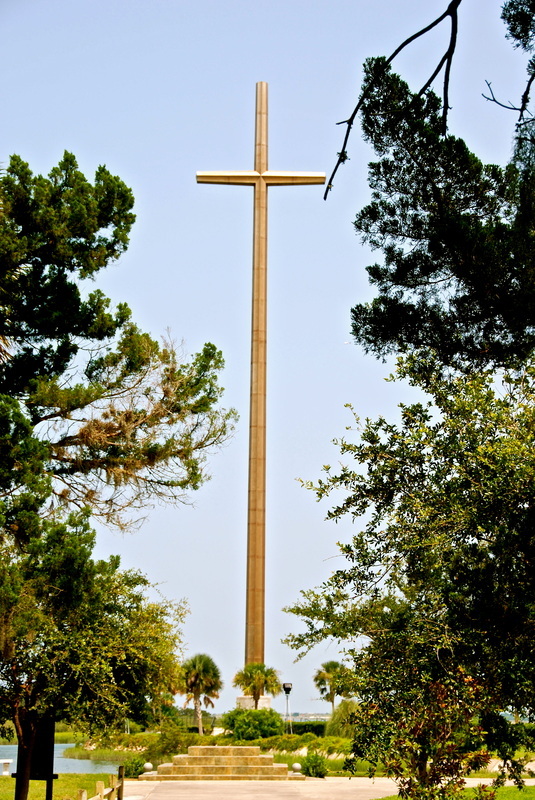 They came across the U.S.-Mexican border before there was a border and before the Anglo-Saxon ancestors of today's border vigilantes had even arrived in the New World. Of course, while expressing our gratitude on Thanksgiving Day, the hidden history of our other Thanksgivings becomes a sour note for many Latinos — especially at a time when illegal immigration and the Mexican border have polarized this country and turned many Americans against the Hispanic population. When Latinos recall their long history of contributions to this country — from those who built the first city to those who still are fighting to defend this nation — we have little choice but to feel offended by the tone of today's public debates over immigration, the Mexican border and the Spanish language. It puts a damper on an otherwise wonderful holiday. For living in the greatest country on earth, it's necessary to be thankful. This is a privilege not to be taken for granted! But when we are reminded that there are ignored Hispanic Thanksgivings and centuries of hidden Hispanic heritage, saying "gracias" becomes a little more difficult as we cut into our Latino-style turkeys every year. Certainly, we cannot be thankful for the prejudice and discrimination displayed by a growing number of Americans who feel threatened by the growth of the U.S. Hispanic population. In the spirit of reconciliation and Thanksgiving, all we can do is recognize that their attitude toward Latinos is based on their limited knowledge of Latino-American history. Ignorance of Latino contributions to U.S. society feeds a vicious cycle of widespread prejudice and discrimination. Occasionally, during the next year, this column will be devoted to Latino-American history. We'll try to fill some of the gaps in American history books and school curricula. And we'll examine how ignoring America's Hispanic heritage has a negative effect on the image of the Hispanic community and the self-esteem of young Latinos today. Who knows? By next Thanksgiving, maybe we will have outlined many reasons for young Latinos to feel proud of their heritage and for many non-Latino Americans to say "gracias" to their Hispanic neighbors. Published at Creators.com - Our Pre-Mayflower Thanksgivings - on November 27, 2007.